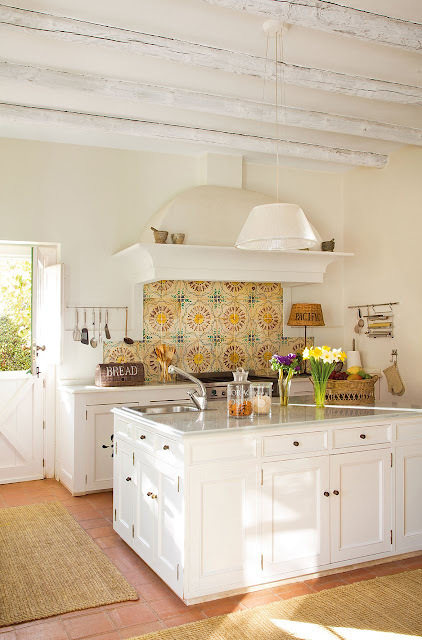 All-white kitchens are beautiful & definitely have their place. 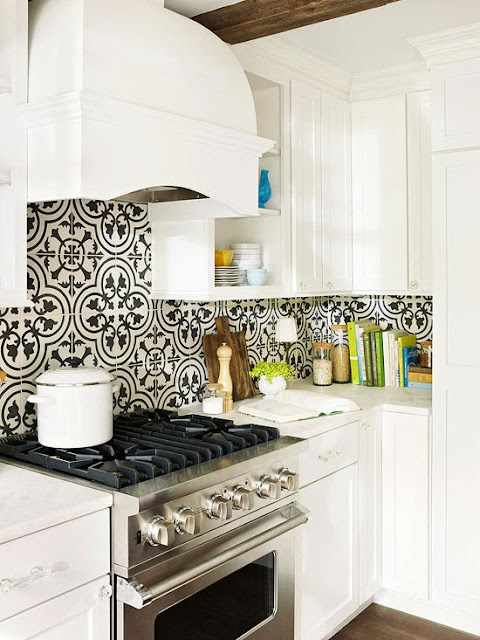 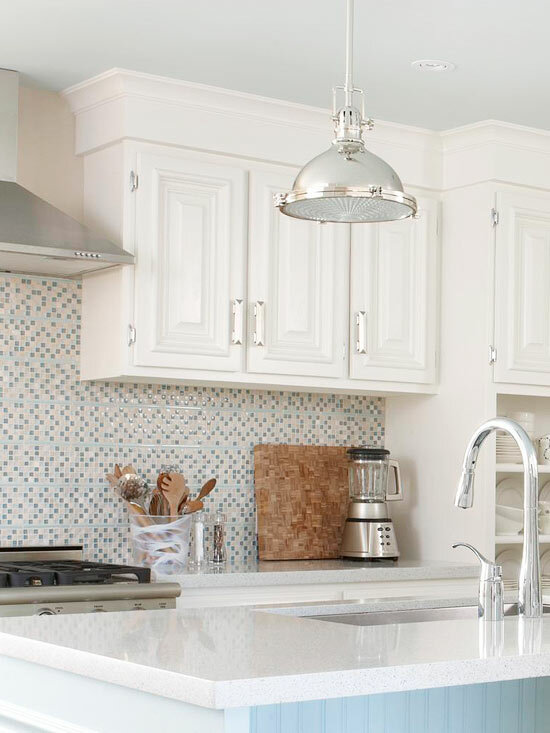 If you are looking to add color to your white kitchen though, using a fun tile backsplash is a great way to accomplish that. 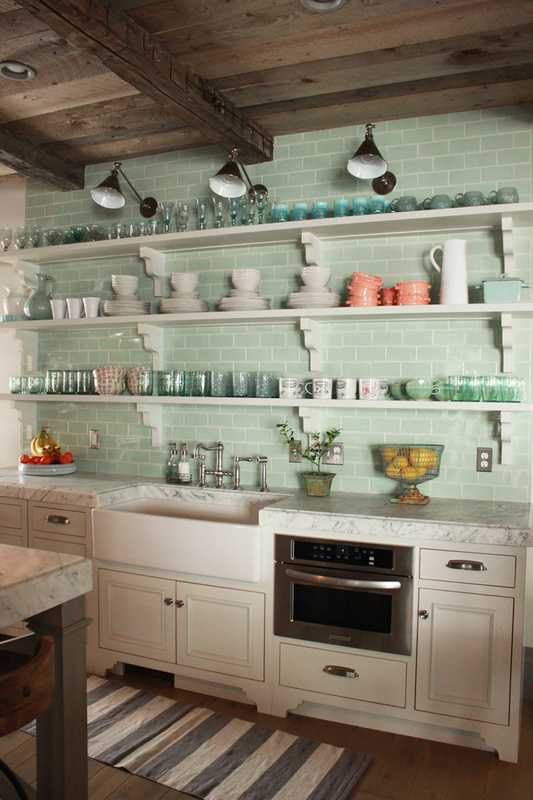 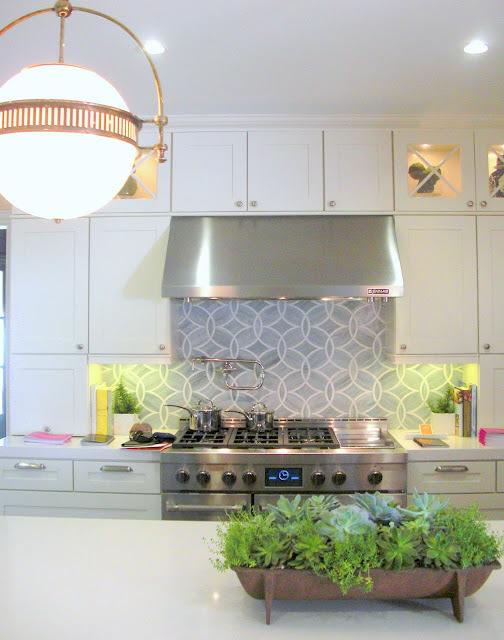 Today I have five really beautiful kitchens that all have unique & fun backsplash tile.